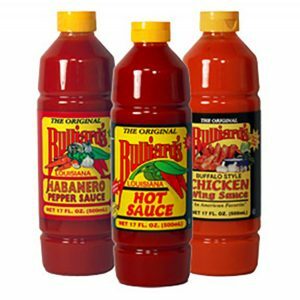 The Original Bulliard’s | Peppers Unlimited of Louisiana, Inc.
Purchase genuine Louisiana flavor. Cajun certified and family crafted since 1910, Bulliard’s all-American pepper sauces stand up thick and rich. From pasta to po’ boys, Bulliard’s tops in taste. To order online, click here!